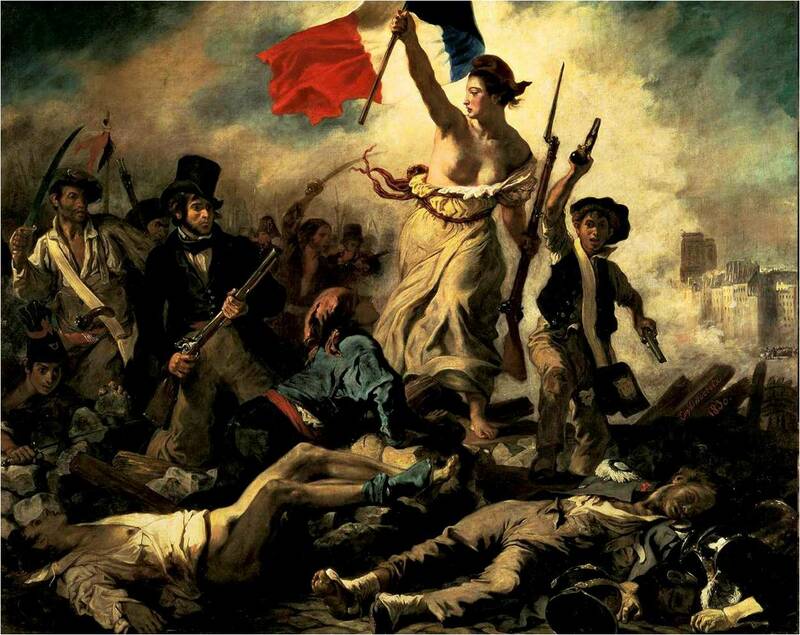 Delacroix’s historical and political painting—a blend of document and symbol, actuality and fiction, reality and allegory—bears witness to the death throes of the Ancien Régime. This realistic and innovative work, a symbol of Liberty and the pictorial revolution, was rejected by the critics, who were used to more classical representations of reality. Having hailed the accession of Louis-Philippe, the work was hidden from public view during the king’s reign, and only entered the Musée du Luxembourg in 1863 and the Louvre in 1874. It is now perceived as a universal work—a representation of romantic and revolutionary fervor, heir to the historical painting of the 18th century and forerunner of Picasso’s Guernica in the 20th. The colour in the flag against the dark background is so amazing.